Prior to planning our trip to California I decided we had to visit San Luis Obispo (SLO) – it had been featured on an Oprah episode as the Happiest Place on Earth. I expected a small town with a farmer’s market, local food, organic food and genuinely nice people. We found all of those things and more. 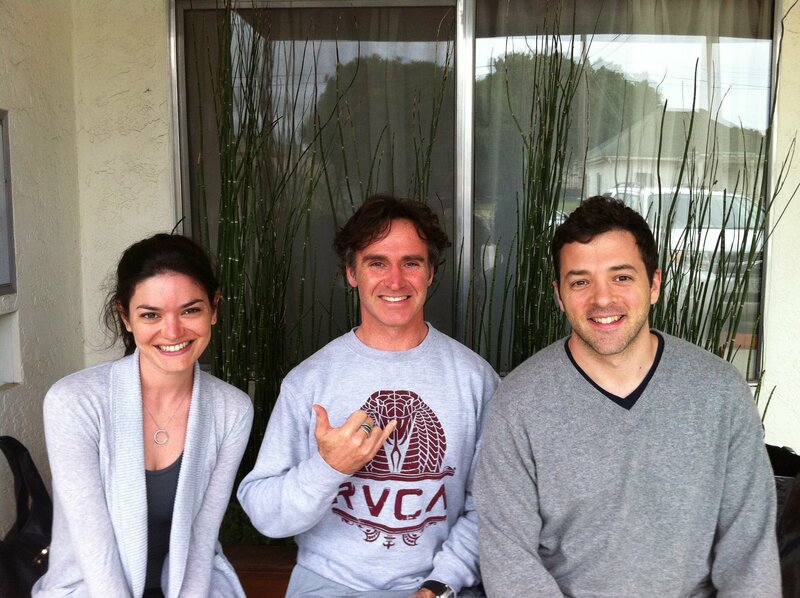 The week before we left for California I learned that our favorite yogi and blissologist*, Eoin Finn, would be offering a workshop in San Luis Obispo. Knowing that this was a road trip, we signed up for the Friday evening class with the plan to roll out on Saturday morning. By the end of Friday’s class we were hooked and also signed up for the two classes on Saturday. This past year we, but Mark especially, really moved forward in the practice of yoga. At a time when our lives were experiencing a lot of transition; new work, new house, new challenges and triumphs it became abundantly important to find a center ground. We found that in the practice of yoga. We typically practice in our living room and always with a Blissology disc led by Eoin and featuring his wife, Insiya. 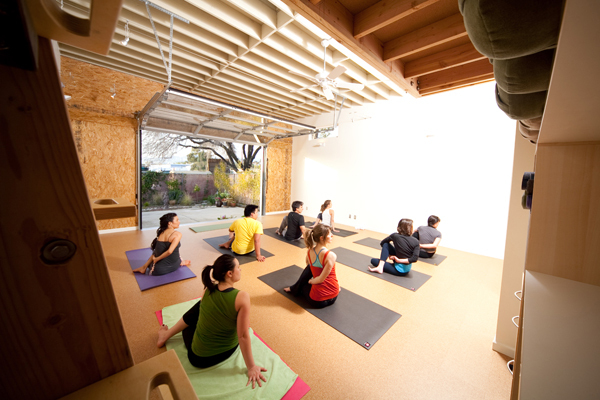 The workshop took place at m.Body a yoga studio in SLO. The studio was fantastic, free of mirrors, filled with light and energized by the positive intention of their owners Peter and Tawny Sterios. If you’re able to “zen-out” you can do it just about anywhere, but doing it in this space with their garden in view and with some very genuinely awesome people elevated the experience to something really special. Yoga started with a hug. In a room of mostly strangers we hugged each other. I will admit it was sort of that half-hearted, one armed hug, where you’re not totally comfortable but you do it anyway. Then for the next two days we bent forward and back, leaned on each other, stumbled, fell, helped each other back up, literally practiced the idea of “you scratch my back, I’ll scratch yours”. We talked about philosophy and diet, our physical, mental and emotional limitations. We talked about family, and love and priorities. And then it ended. And then we hugged again. But this time, with real warmth, two arms wrapped tightly around friends who were strangers. With wishes of support, for their progress, their ability to accomplish their goals. * Blissology (TM) (blis-ol-uh-jee) – noun; the art of consciously finding the balance between one’s personal desires and our impact on the web of life. It is not just a brand but a way of being. It is a path of interconnectedness and love. Many, many thanks to Peter and Tawny and Eoin, Insiya and Ananda for being so welcoming and illustrating why even tourists find SLO to be the happiest place on Earth. This entry was posted in Her Inspiration, Life Lessons, Mark, Personal, travel and tagged blissologist, blissology, Eoin Finn, lululemon, m.body, manduka, Oprah's happiest place on Earth, san luis obispo, San Luis Obispo Yoga, SLO, yoga, yoga practice. Bookmark the permalink. Gotta love Eoin and his Blissology – I try to quote you once a day.